C-Line's long lasting and attractive paper index dividers will make your project extremely easy and organize. The index dividers are made from acid-free, archival quality polypropylene. 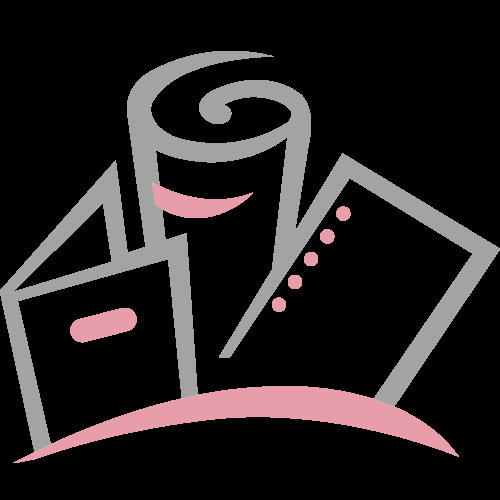 A great benefit of polypropylene material is that it does not danger the toners, colors, inks or other materials when it's being stored. It is capable to fit in any standard 3-ring binders with an easy reusable system. With five assorted colors, it allows for simple and easy identification for anyone. Protect and organize your binder instantly with the C-Line Poly Binder Index Dividers! All genealogists should know about these. Helps divide generations, Large:children, regular colored:grand children, regular clear: great gr. children. 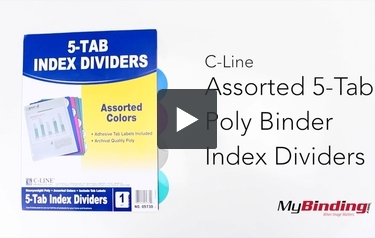 These are C-Line Assorted 5-Tab Poly Binder Index Dividers! Wa-Bam! Insert these tabbed dividers into any standard sized 3 ring binder for easy page organization. They are transparent with an assortment of colors. The tabs are round and are easy to grab. And it comes with sticker labels to write on and stick nicely to the tabs. When on properly, you still get a nice outline of the tab color for when distinguishing between your tabs. They are fairly thin, but should hold up over time.